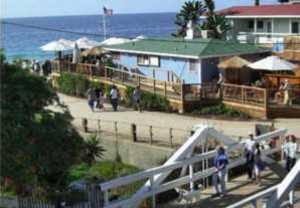 The Crystal Cove Historic District is a 12.3-acre coastal portion of the Crystal Cove State Park, located off the Pacific Coast Highway between Corona del Mar and Laguna Beach. The federally listed Historic District is an enclave of 46 vintage rustic coastal cottages originally built in the 1920s and 1930s. The site has been used as the movie filming location for many movies including Treasure Island in 1934 starring Wallace Beery and Jackie Cooper, The Sea Wolf, Rain with Joan Crawford, To Have and Have Not, Disney's Herbie Rides Again, and Beaches filmed in 1988 with Bette Midler, just to name a few. 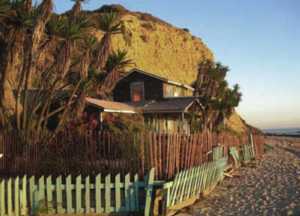 California State Parks has completed Phase I of the restoration of the Historic District, which provides cottages for visitor services, educational and community programs, a restaurant, and 13 cottages for overnight use by the public. The overnight rentals include studios, one- and two-bedroom houses, and hostel-style dormitories. Phase II, the next stage of restoration, is now underway. The Beachcomber Café, a restored beachfront cottage, offers a relaxed dining atmosphere with spectacular ocean views and a quality menu for breakfast, lunch and dinner. 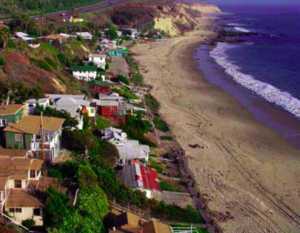 The park also features three miles of Pacific coastline, plus wooded canyons, open bluffs, and offshore waters designated as an underwater park.